This quarterly report summarizes changes in utilization for inpatient and selected outpatient services. The data are stratified by primary payer and by area development district, based on the location of the facility. A brief analysis accompanies each section. This publication provides inpatient case counts stratified by facility and by the county in which the patient resides. Summaries give case counts ordered by county within facility (facility distribution) and facility within county (market position). The data are also broken down by type of patient service. 2016, 2017 and 2018 reports are available via the link below. The report is published annually by the Office of Health Policy and used as the official State Health Plan utilization source. Facilities complete an online survey of specific data elements or selected data elements from the claims dataset compiled by KHA for the Cabinet for Health and Family Services. 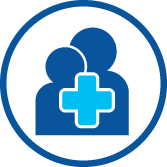 This site contains an inventory of facilities and services maintained and periodically updated by the Kentucky Cabinet for Health and Family Services Office of Health Policy. 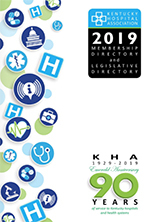 It contains listings of hospitals with the number of licensed beds by bed type, Ambulatory Surgery Centers, Ambulatory Care Clinics, MRI, Megavoltage Radiation, long-term care beds, home heath services, open heart and cardiac catheterization programs, psychiatric services, rehabilitation agencies, limited services clinics and other licensed services. What is it? This site provides health care facility directories maintained by the Kentucky Office of Inspector General. It contains separate lists for hospitals, critical access hospitals, long-term care facilities, behavioral health services and other licensed health facilities. Lists are available in PDF or Microsoft Excel format. What is it? The State Data Center is a valuable source of population projections organized by Kentucky as a whole, the 15 Area Development Districts and Individual Counties as well as other statewide population models. The data is available in Microsoft Excel format. What is it? KIPRC is a partnership between the Kentucky Department for Public Health and the University of Kentucky's College of Public Health that combines academic investigation with practical public health initiatives. The site has reports, peer-reviewed articles and presentations.